Image based measurement techniques are all about illumination. To get the most out of your light source, shaping your beam the right way is one thing…, getting it to where it’s needed another! Our optical components give you just that amount of flexibility you need. For a proper PIV measurement, you need a measurement volume to be illuminated (The “Light sheet”). That is achieved by combining multiple lenses, so that they widen up the nice beam profile a PIV Laser has (or at least should have…) to a volume with a wide area and a defined thickness. 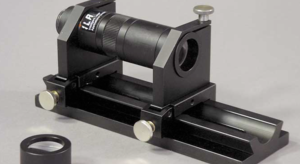 As you do not want to lose or misalign your expensive laser power output, high quality optics are highly recommended. This is why we carefully select our optics, designed to meet the special requirements for PIV. 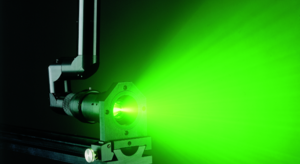 As most PIV Lasers are green (~532nm), our optics are specifically coated to maximize functionality. However, depending on your application, other coatings are available as well. Typical non-PIV examples would be Laser induced fluorescents (LiF) in low UV (266nm), or (near-) infrared applications (780 nm). PIV measurements require a light sheet with well-defined geometrical characteristics and intensity distribution. ILA_5150 offers a range of integrated LSO that are compact, modular and simple to adjust. Our LSOs are compatible with all commercial Nd:YAG lasers with energies up to 600 mJ/pulse, especially recommended for lasers with high divergent beams due to the special collimator design. In PIV, optical access can sometimes be quite challenging. When having closed casings, a convenient way to bring the light sheet into your flow of interest can be endoscopic access. With a diameter of 12mm, a variable length up to 300mm and lenses for Nd:YAG laser up to 120mJ per pulse, our Endoscopic LSO might be just what you need. 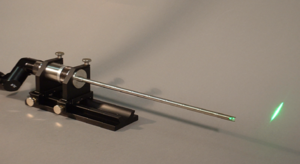 The articulated mirror arm is an integrated light guide for delivering controlled laser illumination to the measurement plane in PIV experiments. This beam delivery solution is particularly effective in cases when the laser needs to be kept away from the experiment due to space constraints or hostile conditions. For some tasks, confined spaces can limit possible setup configurations. To overcome this limitations in case of a light sheet optic, we can offer a Mini LSO. 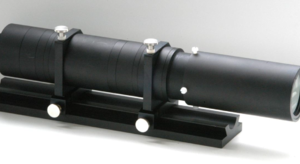 The Mini LSO model includes a focal distance adjustment ring to set the light sheet thickness in the illumination plane, and a set of cylindrical lenses to generate light sheet angles of 8, 16, 30 and 50 degrees.